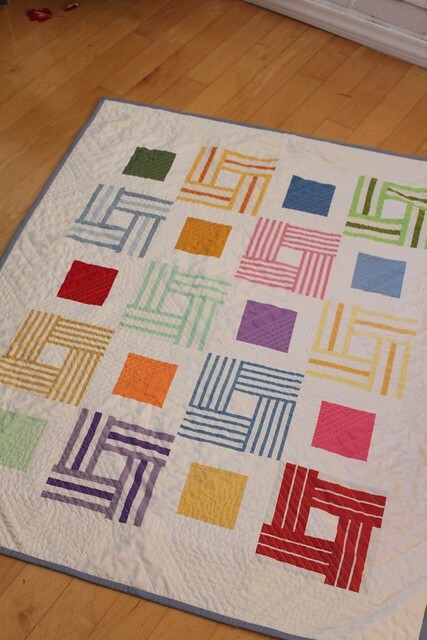 Do you remember this quilt I finished recently? I just learned from a commenter to my post that the striped block is called the Bright Hopes block. Well, if I had know that, it would have been much easier. I saw a vintage Vera shawl with this design, and then tried to figure out how to make it. 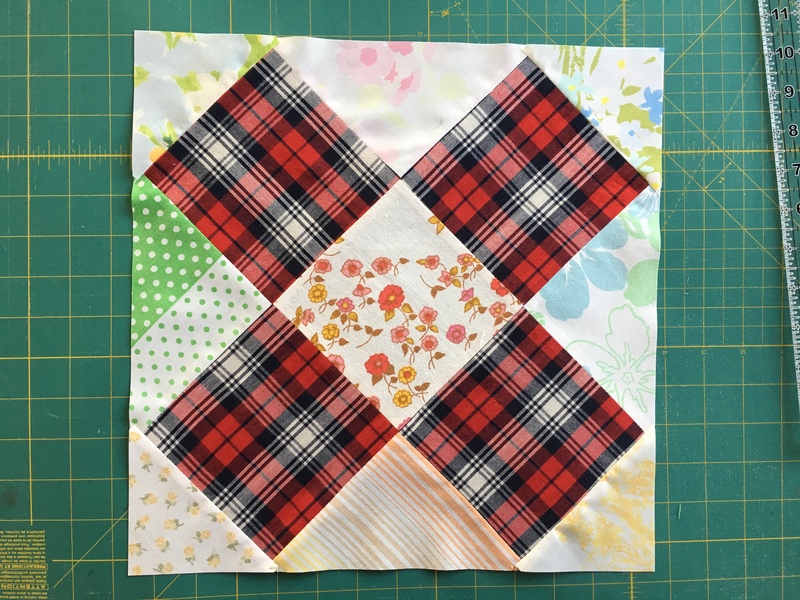 Well, if you didn’t know about this block and are interested how to make it see this tutorial by A Girl in Paradise. This entry was posted in making, quilting, sewing, tutorial and tagged Dash-dot Quilt on February 27, 2012 by flekka.